Please note that the content of this book primarily consists of articles available from Wikipedia or other free sources online. 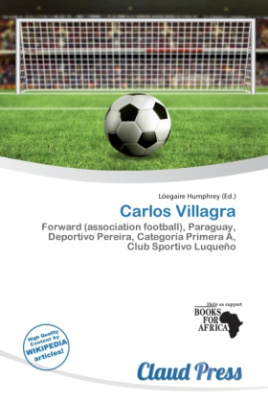 Carlos Villagra (born August 22, 1976) is a Paraguayan football forward currently playing for Deportivo Pereira in the Colombian Liga Postobon. Villagra previously played for Libertad, Cerro Porteño, Sportivo Luqueño and 12 de Octubre in Paraguay. He has usually spent in Colombia with Deportivo Pasto, Millonarios, Atlético Nacional, Atlético Huila and Deportes Quindío in his 30s. He has also played for CSD Municipal of Peru LDU Quito of Ecuador, Oriente Petrolero of Bolivia.